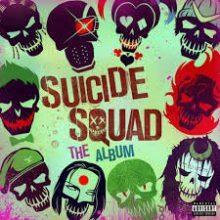 The high profile movie release of ‘Suicide Squad’ and its high quality soundtrack fuelled with ‘Heathens’ by one of the hottest acts on the planet twenty one pilots was a battle Fanning was bound to lose, considering ‘Civil Dusk’ lacks an obvious hit and is struggling to attract mainstream airplay. Early in the week it became obvious ‘Suicide Squad’ was going to ride the week out of top. Then came Friday and a new release from Gympie’s The Amity Affliction. With their two previous albums ‘Chasing Ghosts’ (2012) and ‘Let The Ocean Take Me’ (2014) both debuting at number one it was no surprise that the new album ‘This Could Be Heartbreak’ would obliterate everything in its path. 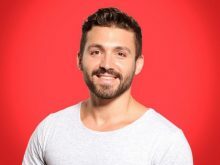 The not so surprise for the week was the complete disappearance of The Voice winner Alfie Arcuri’s ‘Zenith’ album from the download chart and a jump completely out of the overall Top 20. After selling 1575 copies (enough to get it to no 5) the album quickly disappeared from the 40, then the 100, then the 200 on iTunes one week after release and dropped from 5 to 24 on the ARIA chart. Arcuri’s debut single ‘Cruel’ suffered an equally cruel fate leading to industry buzz that The Voice franchise is about to change from current distributor Universal to an opposition company for the 2017 season.